The Kingdom Hearts series has found great success creating an adventure centered around a set of original characters—along with Donald and Goofy—going from Disney universe to Disney universe. This framework has allowed players to interact with some of the most well-known and beloved movies of all time in new and exciting ways—and adding in alternate versions of Final Fantasy and The World Ends With You characters is the icing on the cake. Over the series' 11-year run, players have been able to visit a total of more than 20 different Disney movie-based worlds; and many characters from other Disney worlds have made cameo appearances. And as most worlds from the "Disney renaissance" era have already been visited (many more than once), you might think Disney and Square Enix have nowhere new they can take the series. However, you would be wrong. There are plenty of interesting worlds left unexplored and ripe for the picking for the next Kingdom Hearts game. Check through the gallery above to see some examples. Back when I was growing up, Disney produced an amazing animation block called "the Disney Afternoon." It included such great shows as DuckTales, TaleSpin, Darkwing Duck, Goof Troop and Chip 'n Dale: Rescue Rangers. Any of these shows could be a full Kingdom Hearts world in its own right; but as all have a modern-day setting, they could be combined into a single world in a crunch. And as several of these characters—e.g., Scrooge McDuck, Chip and Dale, and Goofy—have already been featured in the games, visiting these worlds is as easy as escorting a character home. Admittedly, though, there is one problem. The modern world of these "Disney Afternoon" shows doesn't mesh all that well with the medieval "Disney Kingdom" or "Toon Town" ideas from past Kingdom Hearts titles. When you think of Disney, animation is certainly what comes to mind; but that doesn't mean Disney hasn't produced some excellent live-action movies as well. Pirates of the Caribbean, Tron, and Tron: Legacy have already been featured in Kingdom Hearts, but they're only the tip of the iceberg. The classic Zorro, the Rocketeer, Honey I Shrunk the Kids, heck, even Muppet Treasure Island are all Disney films, after all. More recent films like John Carter or Prince of Persia would also be enjoyable to play in a game (especially the latter for some odd reason). But of course, the most exciting possible Kingdom Hearts worlds based on live-action films would be the ones stemming from Disney's recent acquisitions of both Marvel—The Avengers—and Lucasfilm—Star Wars. Admittedly, though, I suspect many Star Wars fans would be more than a little annoyed by Sora running around with a keyblade lightsaber. Disney has a long history of telling stories about dogs: The Fox and the Hound, Lady and the Tramp, Oliver and Company, and, of course, 101 Dalmatians. Not all of these would make for great Kingdom Hearts worlds. But 101 Dalmatians—which has been featured as a cameo-style sidequest before—could be an amazing one, thanks to the addition of Cruella de Vil to the Kingdom Hearts villain pantheon. And, besides, Kingdom Hearts has already incorporated an animal-based world with The Lion King back in Kingdom Hearts II. So by doing the same thing that they did there—i.e., transforming the Kingdom Hearts characters into setting-appropriate anthropomorphized proxies—all the animal-based Disney movies should be on the table already. Given their popularity in Japan in addition to the rest of the world, the Pixar films seem to be a perfect place to take the Kingdom Hearts franchise. Toy Story, Brave, and the Incredibles would all make great worlds. Really, any of the Pixar films could realistically be turned into an interesting Kingdom Hearts world—especially since not all Kingdom Hearts worlds have been combat-based in the past. Of course, there's no need to limit our dreaming to just Pixar. Even the non-Pixar CG animated films have gotten pretty good recently. 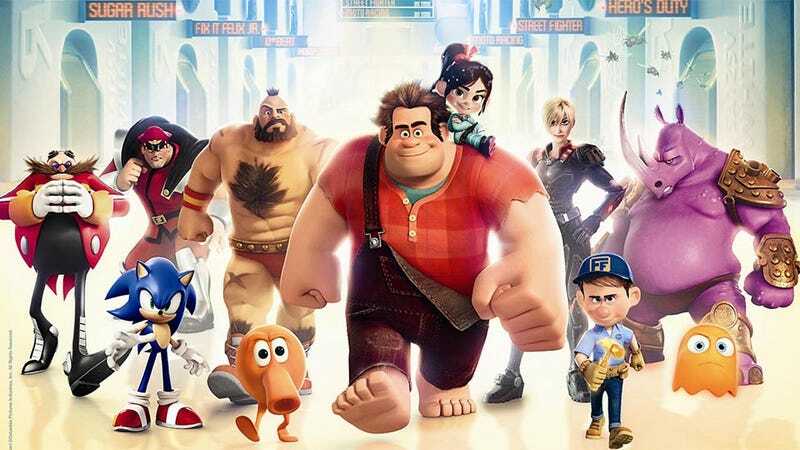 Just imagine a Wreck-It Ralph-themed world. …Which means you would be playing a game about characters who enter into games within your game. …Okay, now I feel a little woozy.